The National Museum Earth and Man has been created using donations of Bulgarians and foreign people. The rich collection of the museum is presented in 8 permanent exhibitions: Minerals of the Earth, Giant Crystals, Mineral resources of the Earth, Collection Peter Tranteev, Minerals of Bulgaria, Bulgaria Mineral Resources, Materials and Gems. The museum is located right next to National Palace of Culture (NPC) and only 5 minutes walking distance from BEST WESTERN Lozenetz Hotel. 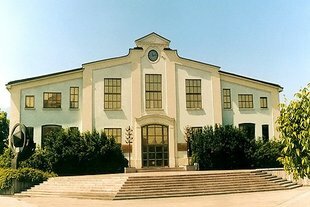 Read more about the museum on the website of the Official Tourism Portal of Bulgaria here and on the official website of the museum here.